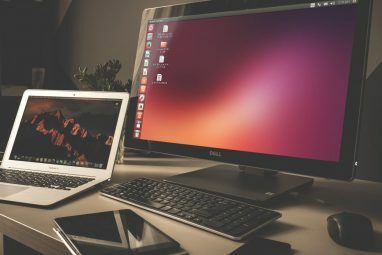 If you’re thinking of switching from Windows or Mac to Linux, you might be concerned about how you’re going to transfer all the data you’ve accumulated over the years. Will it be accessible in Linux? What’s the easiest way to get it over? Fortunately, there’s a solution you can use to safely migrate important data between OSes. Dropbox offers at least 2GB of storage (more available through special actions or subscriptions), which should be enough to carry most of the files and folders you’ll need. Here’s how to do just that. Why Use Dropbox for Data Migration? Despite being a closed-source solution, Dropbox is ideal for first-time Linux users who require access to data they’ve created or saved in Windows or Mac. While there are other ways to share data between operating systems (especially if your OSes are in a dual-boot setup), Dropbox is the quickest and easiest to get working. Once that is done, you can carry on and use your chosen Linux operating system while retaining access to your important files and folders! Get started by ensuring you have Dropbox installed on your current operating system. You may already have it. Windows 10 comes with a suggestion to install it, which often (depending on your computer’s manufacturer) comes with additional storage space. Head to dropbox.com/install to download whichever version is right for you. Once installed, you’ll need to create an account on the website, then sign into the desktop client. To save time, you may opt to sign up with your Google account. However, as seamless as this is, one of your reasons for moving to Linux may be to embrace open-source software and online privacy. In this case, relying on Google wouldn’t be in tune with those aims, so you should sign up with your own email account instead. Next, make sure you know where all the data you wish to sync to the cloud can be found. In Windows, photos are typically found in the Pictures library, videos and movie files in Videos, music in Music, and so on. You’ll find your spreadsheets, word-processed documents, etc. in Documents. Making sure that what you’re backing up to the cloud isn’t going to exceed the remote storage limit is important. Save time here by copying everything you plan to sync into a temporary, interim folder first. When you’re done, right-click the folder icon, and check how big it is. If the data total is less than your Dropbox limit, you’re fine to proceed. When you sign in, you’ll be asked to confirm the location of the Dropbox folder. Once you know this location, you can use File Explorer or Finder to begin copying from the interim folder into the Dropbox folder. As this happens, Dropbox will begin syncing data between your computer and Dropbox’s servers. Note that this could be unwise on a mobile internet connection. Save it for when you’re on an unmetered connection. Leave your PC to complete syncing data to Dropbox. This can take a while. Slowing factors include the amount of data, the speed of your PC, and the speed of your internet connection. Once the process is complete, sign into your Dropbox account via your browser, and confirm the data has uploaded successfully. It’s also wise to make a backup of the data to an external drive, just in case. At this stage, you’re ready to switch to Linux. This might be a case of using a different computer, or installing Linux on your main PC. Whatever the case, with Linux up and running, you’re ready to install Dropbox and start syncing data. To install Dropbox, you’ll need to first download the right version for your Linux version. Head to dropbox.com/install-linux and download the version that suits your family of Linux distributions. For Debian, Ubuntu, Linux Mint, etc., use the .deb link; for Fedora, Red Hat, openSUSE, PCLinuxOS, etc., choose .rpm. Be sure to use the right link: 32-bit and 64-bit downloads are available, depending on the host operating system and system architecture. Once downloaded, run the installer file with the default package manager. Dropbox will unpack and install on your system, and you’ll be able to sign in a few moments later. Again, you’ll be asked to choose a location for saving your Dropbox data on your PC, so select this, and wait for the files to be synced to your Linux computer. Step 4: Access Your Data, Use It With Apps! By now, you’re more or less done. As data is synced to your computer, it will become available to use. Images can be opened, music played, videos viewed, documents read and edited, etc. 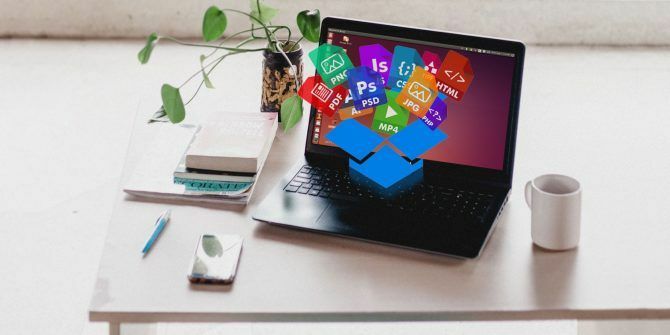 Admittedly, you may not have all of the right tools (although LibreOffice comes pre-installed on many Linux distributions), but with your data in hand, it shouldn’t take you long to find and start using some new Linux-only apps. 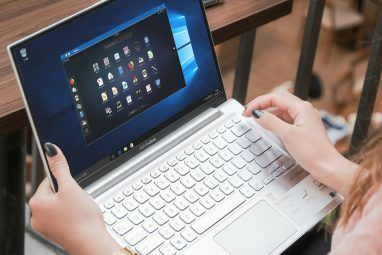 Meanwhile, if you’re concerned about accessing apps that you’re familiar with from Windows, you have a few options to ease the transition further. For instance, Microsoft Office can be installed on Linux How to Install and Use Microsoft Office on Linux How to Install and Use Microsoft Office on Linux Linux is great, but how on earth can you install Microsoft Office without running into problems? Here's what you need to do. Read More through the magic of Wine. In fact, you can run all kinds of Windows apps on Linux How to Use Vineyard to Run Windows Apps on Linux How to Use Vineyard to Run Windows Apps on Linux Vineyard makes it easy to install and run Windows apps on Linux with Wine. Find out how to use it and get your favorite Windows software running in minutes! 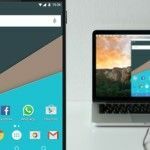 Read More , which eases the transition if you rely on many non-Linux apps, games, and tools in Linux. Use Dropbox to Make Switching to Linux Easy! While Dropbox is proprietary software, it doesn’t quite fit into the Linux philosophy. Don’t worry too much about this when you’re just getting started, however. You’ll find plenty of Linux-only cloud storage services to switch to once you’ve embraced the open source world. Until then, make the best of Dropbox for migrating your most precious documents from Windows (or even macOS) to Linux. Keep going with our article on things you didn’t know Dropbox could do 15 Things You Didn’t Know You Could Do with Dropbox 15 Things You Didn’t Know You Could Do with Dropbox Cloud storage services have come and gone, but Dropbox is probably the one that's been here the longest. And now it has upped its game with a host of new features. Let's explore. Read More . Explore more about: Cloud Storage, Dropbox, Linux. Meh. I don't like the idea of using cloud services as a data migration tool (well, when migrating from one laptop or OS to another). I have over 16GB of photos alone on my laptop. This means I would have to pay a monthly subscription just to use DropBox for a one-off data migration. On top of this - imagine how long it would take to upload 16GB of data over most consumer (home) Internet connections! How many people out there have a 1Gbps upstream? I certainly don't. For most people, I'd probably recommend a USB flash drive. Even a 64GB flash drive isn't too expensive these days. I carry a small 64GB USB flash drive around on my keyring (it's about the size of my thumbnail). I also use an external 512GB 2.5 inch SSD I use for various things (including backups). It has a sustained transfer rate of 320MB/s (compared to my Internet's 2MB/s upstream, and 30MB/s downstream!!). The only thing I use cloud storage for is small things - like a backup of my ~/.ssh directory. I always encrypt anything and everything I store on the "the cloud" too, so even if my account is compromised, my personal data never will be.